Sometimes, in the office holding the coffee mug in your hand, you are definitely allowed to dream…about your next holidays and your newest gym-styled beach body…the new sound system in the living room…or – for example – what albums Tina Turner could have released after 1999. Because – just for the record – she promised…oh yes, she promised to record. Okay, she did not say anything about a big tour at the age of 69 but she promised to continue recording. So, here is what happened in a parallel universe (just around the corner of the alpha quadrant) incl. examples from our mutually shared universe where other artists stole my fantastic proposals. First, we assume that somehow the idea of an album with only new material is a no-go. That parallel universe is not too different from ours and things like “Tina Turner makes a special appearance on the occasion of your wedding” are not supposed to happen. But what could have happened is a nice series of at least two (always good to have a sequel after a good start) albums called “The Great American Songbook”. Maybe we would not expect her to record five albums and 50+ songs from that vast collection but maybe the number of three would have been a good idea? And then, of course, the usual “Best-Of” and a de luxe version where you could buy everything in one nicely arranged box. 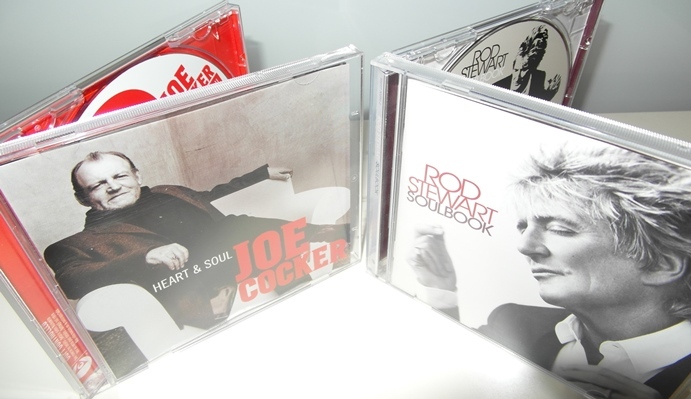 Unfortunately, in our universe, it was Rod Stewart who actually had that idea and released five albums, selling a trillion copies of them, and not only released the above-mentioned best-of and box but also went on tour with these songs. Second, we assume that after all that success with “The Great American Songbook” and all the Grammies she had won with it, that Tina Turner would decide “Well, I have the impression it is necessary to breathe new life into the hits of my youth. It worked so well during the 2000 tour when I simply decided that “Grapevine”, “Higher”, and also that slow one should be in the set list. And besides, I still know the lyrics because I could simply choose from the songs I already know.” And then, Roger Davies – because he really is a smart man – had the glorious idea of a nice combination: “Tina – The Soul Classics” plus a tour (just because it is a parallel universe does not mean that we would like to have missed to see her live in 2008/9) incl. DVD/live CD, and a special tour edition like in 1996 and 1999 so that you have the album and live material in a nice box – plus poster. Unfortunately again, Mr. Rod Stewart borrowed that idea from me again…and as the Soul hits s are quite heavy for a man alone, Mr. Joe Cocker also thought “Well, I covered so much over the years, I can simply bring out a covers-only album.” I won´t mention that they both went on tour with their two Soul music albums…and that Roddie even decided to bring out a Rock classics album…still waiting for Joe´s now. As you can imagine, we don´t really want to push Tina too hard because – we understand that very well – she needs some rest and we like to see her help out Giorgio Armani, appear on German Vogue magazine and so on because she always looks so stunning and elegant. But still, two years and maybe even two and a half years and shortly before x-mas 2011, the time would have been right for a new album. But please, not an x-mas album. We had that one from Ike & Tina and we might not need it again. Like we don´t need another Country Music album – we will simply skip these two ideas and hope that the parallel universe where creepy stuff like this happens every day is far away and that a very small and fragile loophole must be used for traveling there. 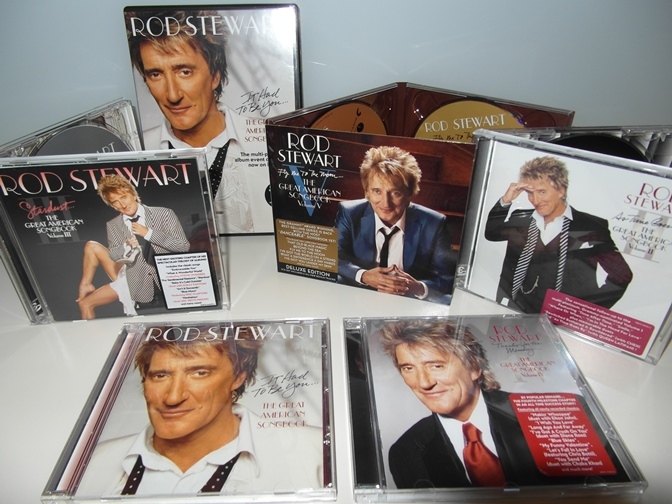 Even if Mr. Rod Stewart dared to bring out an x-mas album, or Kylie Minogue, or Aretha Franklin (yes, yes, and I did not mention her “Great American Songbook” release – but that was mainly a reissue of old recordings), we can do without that one very well. But unplugged, that would be something! We totally enjoyed the unplugged section from 1996 onwards and went crazy when she started “I Can´t Stand The Rain”, and we surely cried during “Let´s Stay Together”. 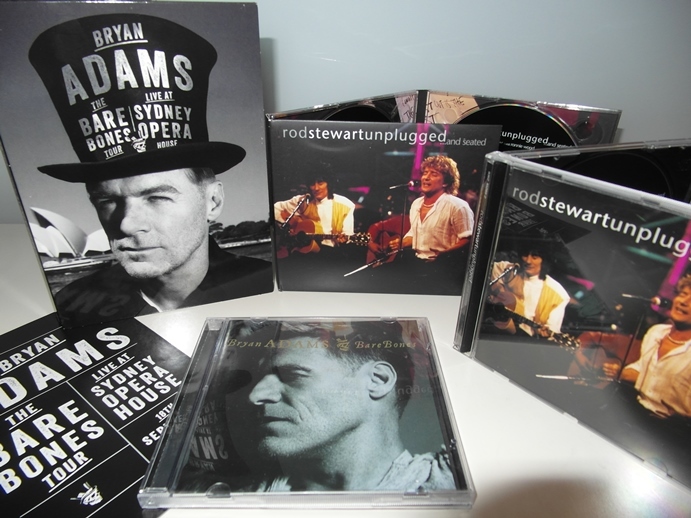 So, an unplugged album is easy, and in case of need, I am quite sure that a nice collaboration with Bryan Adams this time would have untied every knot. She already skipped the MTV Unplugged project in the 90s which was hard to accept for us but with Bryan Adams and his Bare Bones Tour, there cannot be any excuse that it isn´t now the time. Even a new release of “It´s Only Love” … or even all the Bryan Adams/Tina Turner hits in unplugged style…yes, that is even better. “It´s Only Love”, “Without You”, “Why Must We Wait Until Tonight” plus “Back Were You Started”…all unplugged and performed in a glorious TV special….where the fan club was invited and – if it matters – also in Zurich. Of course, after all these years, some kind of a reinvention is necessary and Tina decides to do something which prevents her from travelling to far-away studios like London or Los Angeles. 75 years ago, Munich could have done the trick but this is not a realistic option anymore as the hottest and funkiest in the music scene cannot be found anymore in Munich. – But, for God´s sake, they have the “Tonhalle-Orchester Zürich” in Zurich, founded in 1968 and named after the historic Tonhalle venue which is today simply called “Kongresshaus Zürich”. 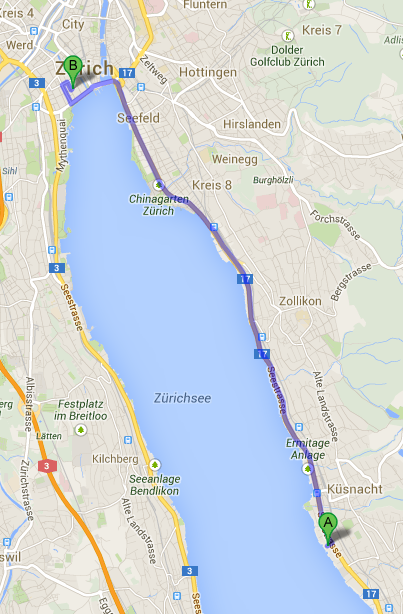 But we don´t care about a fancy name or long traditions, because it is more important that it is only 8 km from her Seestraße mansion to the venue itself. A local bus service or maybe even a trip by ferry boat from Küsnacht right after breakfast and back home during the late afternoon before dinner time could make such an album as easy as dusting gold “Private Dancer” records. Or to facilitate the commuting for her: I am sure we could have booked a rental car and could have transported her from A to B. And what an album we would have gotten! – Wall of sound revisited, her biggest hits in classical arrangements and maybe even some Rolling Stones numbers or a new Bryan Adams duet with a 50+ piece orchestra. Hah! Or “It Takes Two”, “Hot Legs”, and “Tonight´s The Night” with Rod Stewart. Even more Hah! Bryan and Rod could have stayed at the Dolder Grand Hotel, Oprah could have come over for all kinds of interviews, and we would be waiting in the lobby for autographs. Easy holidays in Switzerland. And also the excuse “Sorry guys, but this is really big production so we cannot go on tour altogether” would have been understandable. Totally. But somehow, I can remember a certain Sting album and tour, and didn´t Kylie Minogue collaborated with an orchestra on Abbey Road? Oh, oops, my coffee break is over. Now back to work and no more day-dreaming…! I have been a fan for years and I really do not think that Tina will be recording another R&B/Rock album. She has worked for 50 + years and the Beyond project is all she is interested in. I cannot much blame her, it’s time to enjoy some that hard earned success. As much as I would love to have some new material from her, Tina will not deliver if her vocals are not up to where they use to be. Let’s just hold on to the good memories we have of her and hold them close to our hearts and memories. Tina, we do miss you, you are one of a kind. Agree totally…Love and Respect very much. People need to be more grateful for all she has given. Give back to her and not be selfish wanting more. I’m with you all the way. We need something new, even if it was an ‘unplugged’ album. I can’t buy any more greatest hits in whatever form, I need something new and not religious stuff. Although if it’s true she been recording with the remaining members of Led Zep, then we might get something at least! I’m pretty sure the Led Zep thing was an April Fool’s joke. I agree that we should be grateful for what Tina’s done career-wise and wish her the best. I do remember her saying in an interview that she would continue to record but her Beyond project seems to be what she’s about now and she’s earned the right to do whatever she wants. However, I never would have had her do “the Great American songbook” as frankly, Linda Ronstadt did it in the early ’80’s and no one has touched her. If she was going to do something like that, why not collaborate again say with Herbie Hancock in more of a jazz vain? Classic soul? Again, I don’t think Tina would have touched it to begin with (although Carlos Santana did mention he’d liked to have worked with her on a blues-type project). Not sure about an acoustic album either. The other thing that some of her contemporaries did was to redo their old stuff with different arrangements which might have been interesting. But we can dream and wish all we want that’s the fun thing. Next PostNext Bye Bye Dave!